President Obama was not among the heads of state at the inauguration of incoming President Muhammadu Buhari on May 29, 2015. However, in his private conversations with Nigeria’s new president, he might offer Mr. Buhari some encouragement that, beyond the friendship between their nations, they share something else in common. They both inherited an economic mess when they took office. For Mr. Obama it was the great recession precipitated by the collapse in real estate. For Mr. Buhari, it is the recently patched-over fuel crisis precipitated by the plunge in oil prices and the long simmering tension over fuel subsidies. As President, Mr. Buhari signaled that he would remove the fuel subsidy (estimated at $7 billion annually) that many Nigerians see as a source of corruption. While international financial organizations such as the World Bank and IMF might cheer this move, it spooked Nigeria’s petroleum traders who demanded that the Jonathan government pay up its arrears. President Jonathan’s administration calculated the subsidy payment owed using an exchange rate of N168 to $1, while the marketers claimed they incurred their costs at N198 to $1 in the market. Three days before inauguration, the outgoing government and the traders announced they had reached an agreement that would allow fuel supplies to resume. President-elect Buhari also promised a thorough investigation. Nigeria’s three domestic refineries have a total capacity of 445,000 barrels/day. The Nigerian National Petroleum Corporation (NNPC) estimates that the country needs at least 500,000 to 560,000 additional barrels per day of refining capacity by 2016. The shortfall in refining capacity, if left unaddressed, would grow at a rate of 3 to 5 percent per year. The country must import 70% of the refined fuels it consumes. Recognizing this opportunity, Nigerian industrialist and Africa’s richest man, Aliko Dangote is investing $11 billion to build a 500,000 barrel/day refinery, scheduled to come online by mid 2018. The economics of refineries is tough due to high startup costs and tight margins. But for Nigeria, refineries make sense. New refining capacity would cut fuel imports and eliminate rackets associated with the fuel subsidies. Nigeria has been hit hard by the rise in U.S. shale and the slump in crude oil prices. Its light sweet crude, once in great demand and commanding premium prices, is now struggling to find buyers. U.S. shale oil has displaced most of Nigerian imports, eliminating a once reliable market. Reuters quotes OPEC, as saying "This supply glut, primarily of light sweet crudes, needs to ease sizably before the oil market steadies. 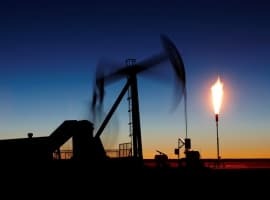 Low oil prices are expected to force some of the costly light sweet crude oil to idle, but the displaced African light sweet crude is also forced to find an alternative market." Making matters worse, pricing order has been flipped. 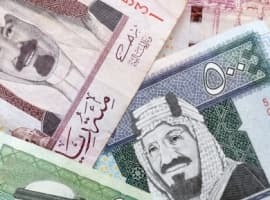 According to OPEC, sanctions and geopolitics have caused “…the value of regional sour crudes to be oddly higher or at small discounts in relation to the sweet crudes." 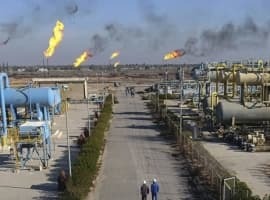 If sanctions and geopolitics can be sorted out, there is still pressure from the heavy crude refineries, built before the shale revolution, when light crudes were expected to remain scarce. "It is also difficult to justify altering the configuration of deep conversion refineries after the huge investments that were put into their upgrading prior to the tight oil boom, when the sweet/sour spread was wide enough to justify building such heavy conversion units." Dangote Group’s planned refinery will meet Nigeria’s existing demand. 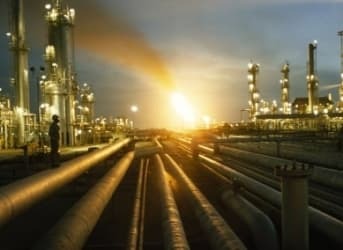 Expanding refinery capacity to also export refined fuels could help Nigeria replace some revenue from lost crude sales. Its neighbors in West Africa will provide a receptive market. The US, the world’s second largest economy, made banking reform (the merits of which are still hotly debated) an important component of its economic recovery. Nigeria, Africa’s largest economy, would encounter less debate if it makes refining sector reforms the cornerstone of its own economic recovery.